CWS is part of that five percent and one percent of organizations that continue to monitor even after implementation. CWS will not work in a new community unless it has the funding to follow-up and monitor the business for a minimum of 5 years. By follow up and monitor, we mean visiting the newly implemented community once a week for the first 6 months of access and then at least one to three times a month until they reach the 5-year mark. 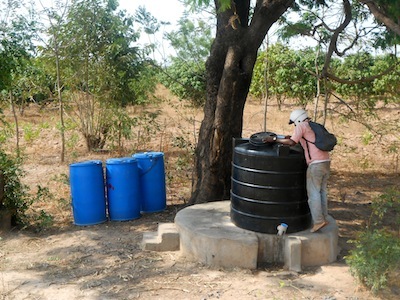 During each community visit, the CWS field staff observes the clean water level at the water treatment center, holds meetings with the water business entrepreneurs and then conducts six household surveys to evaluate the water treatment center’s performance. 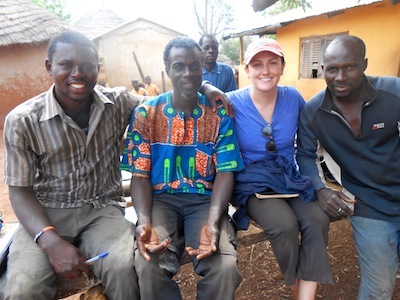 Amin and I talking to Sofou, one of the water business entrepreneurs in Nyamaliga. Nyamaliga was implemented in 2010, making it the oldest CWS community and will be the first village to reach the “5-year mark”. Household visits! 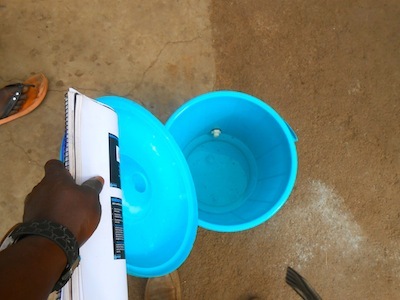 Checking the safe storage container to see if there is clean water inside. So what happens when a community reaches the 5-year mark? The idea is that the water businesses will be self-sufficient and will be able to operate without monitoring. As of right now, CWS will still sell these 5-year mark communities aquatabs to treat the water and be on call for any water business emergencies. No community has reached that mark just yet but we are in the process of prepping our villages to get there. CWS has started a “Village Independence Ranking System” to evaluate which villages can operate successfully without frequent monitoring (as in one to three times a month). The system ranks CWS water businesses based on their performance since implementation taking into consideration: water business sales, blue drum and polytank water levels, how the entrepreneurs handle minor problems on their own, how a village handles rainwater, household visit results and whether entrepreneurs are able to pay for business supplies on their own. Our first batch of villages to be deemed independent was in November 2012. Chani, Kpalguni, Kpalung and Wambong were the first villages to become “independent”, meaning that the CWS field staff now visits these four villages once a month instead of the usual one to three times a month. All of the water business entrepreneurs have a CWS field staff’s cell phone number to call in case they have any problems such as running out of aquatabs or if their polytank is leaking. In January 2013, CWS added Kurugu Vohoyili and Cheko to this list. We were not really sure how the businesses would perform once CWS spent less time in these communities. But the results have been very positive! All of these centers have been up and running since they became “independent”, sales are high in all of them and household visit results have been consistent with their previous history. One of the more memorable monitoring visits I had was in Cheko with my co-worker Amin. This past month we went to monitor for the first time since February. It had been a full month. We first stopped to check out the water treatment center. The polytank was completely full. This is always a good sign when monitoring because you know there is lots of clean water available (about 1,200 L in this case). 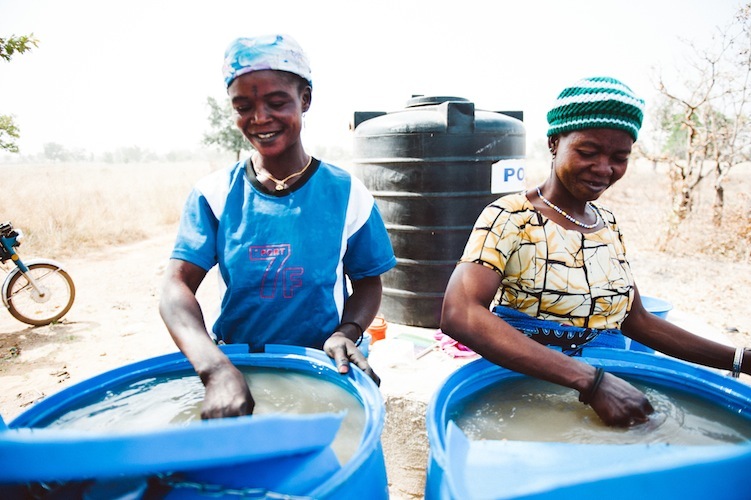 Then we went to talk to Kukuoona, the water business entrepreneur in Cheko. Amin and I got to her house only to find out that she had moved to Tamale to live with her son! We were shocked because Kukuoona has worked with CWS for so long, we never thought she would leave. The woman we talked to pointed us to another compound and told us that Abiba was now running the center. So off we went to find Abiba. She was home, which is always great news. Abiba was glad to finally meet us because she just ran out of aquatabs that day. She told us that she had been running the water treatment center for the past month and that Kukuoona trained her to run it well. 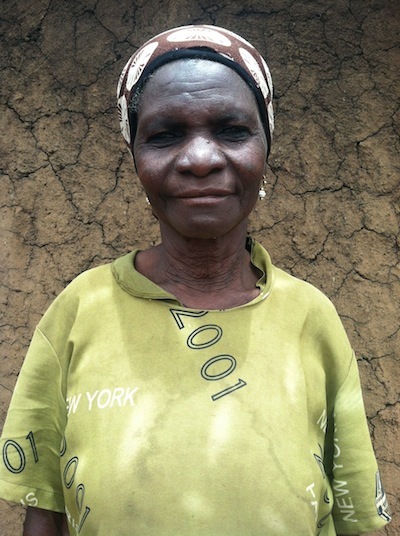 Abiba said sales were still high and household visits proved her story to be true! Amin and I drove back to Tamale happy as clams. Even without frequent monitoring, these centers are still running independently and successfully. After this upcoming fellowship in summer 2013, it will be time again to evaluate six more villages to be put into this independent category. The CWS field staff enjoy going to these villages because they perform so well, so it will be sad to only go once a month. But the good news is that the system is working and when those first villages reach the 5-year mark, I know they will be ready! This entry was posted in Monitoring and tagged business, clean water, Entrepreneurship, Ghana, Monitoring, sustainability, Tamale. Bookmark the permalink.